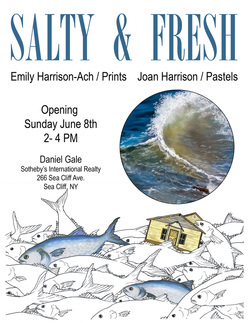 "Salty and Fresh" an exhibit of prints and pastels, will open at Daniel Gale/Sotheby's at 266 Sea Cliff Avenue this Sunday June 8. 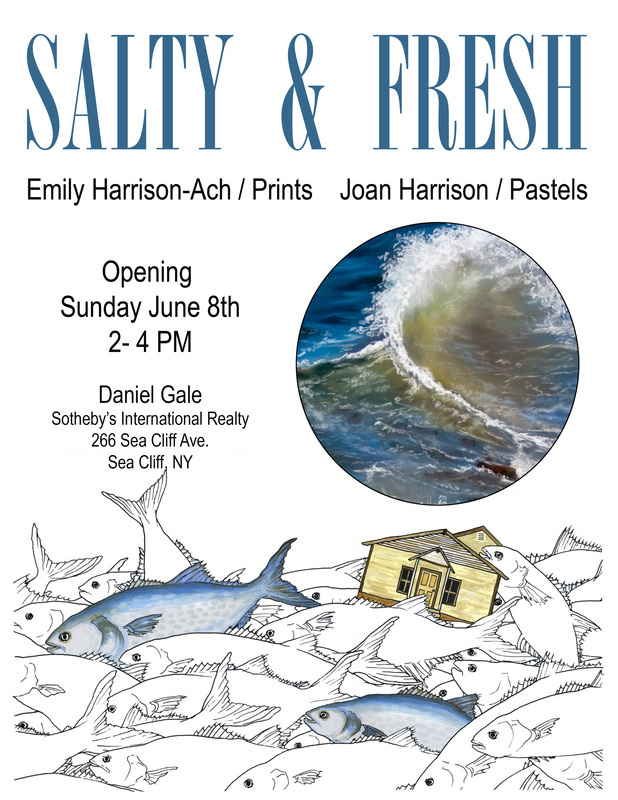 The exhibit will feature works of Emily Harrison-Ach and Joan Harrison. Ms. Harrison-Ach is a printmaker and book artist whose work has been shown internationally. She currently has prints on display in the Coohaus Gallery in Chelsea, NYC. Ms. Harrison is a Professor of Art at LIU Post. Her photographs, collages and drawings have been widely exhibited. She is the author two photographic histories of Glen Cove and is presently at work on a third color book of photographs of the modern city to be published by Arcadia in 2015. This is their third exhibition together. The opening reception will be on Sunday from 2-4 pm. Refreshments will be served and all are welcome to attend.